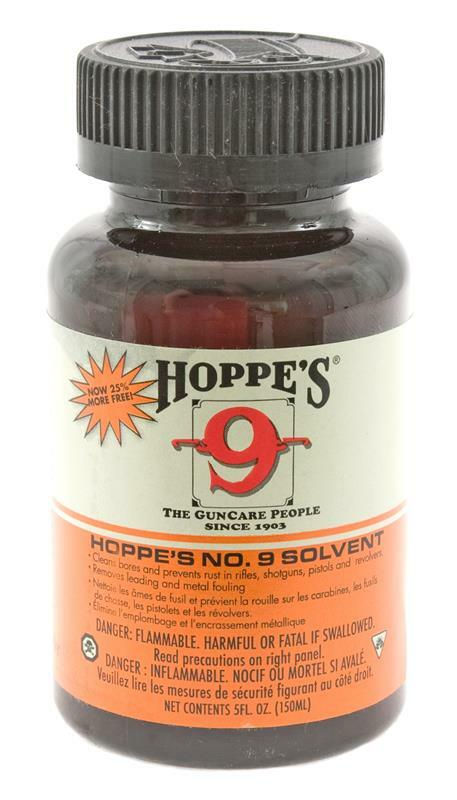 Hoppe's #9 is the most universally sold solvent since 1903 and a favorite among shooters throughout the world. Its super efficient formula is perfect for preventing rust and removing powder, lead and metal fouling. 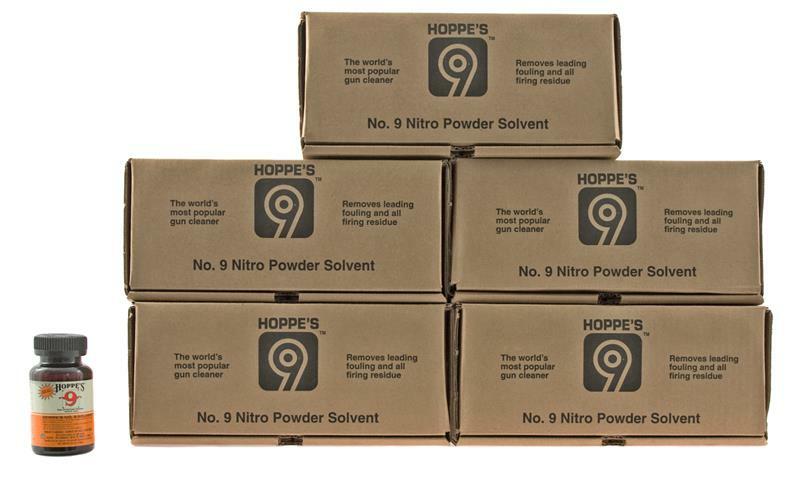 Safe for use with rifles, pistols and shotguns. Note: Shipped UPS Ground only. 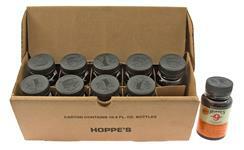 These are five cases of 10 bottles each for a total of 50 bottles. Cases are marked 10-4 oz. 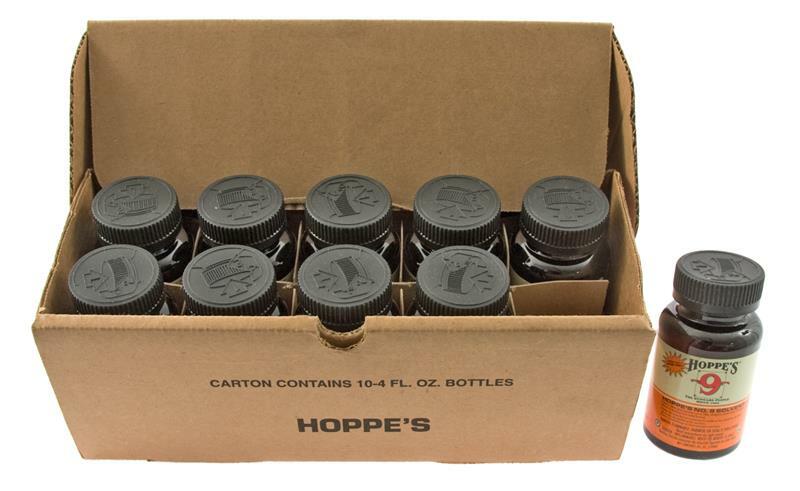 bottles, however they contain 5 oz. bottles.